Episode #77: Tales of wicked seduction exist in the lands of Azeroth. With each expansion in WoW, various Steamy Romance Novels have been introduced for players to find. With a total of 7 different volumes in all, the Steamy Romance Novels are readable, gray-quality books with very… um.. risque topics. For many years, most novels were only obtainable through pickpocketing certain high-level mobs. For this reason, these lesser-known items were rarely seen by players outside of rogues. 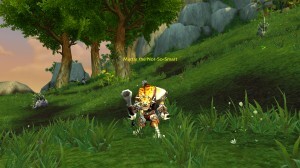 This all changed with Mists of Pandaria! At appears that a certain rare elite NPC has become a big fan of the Steamy Romance Novels. 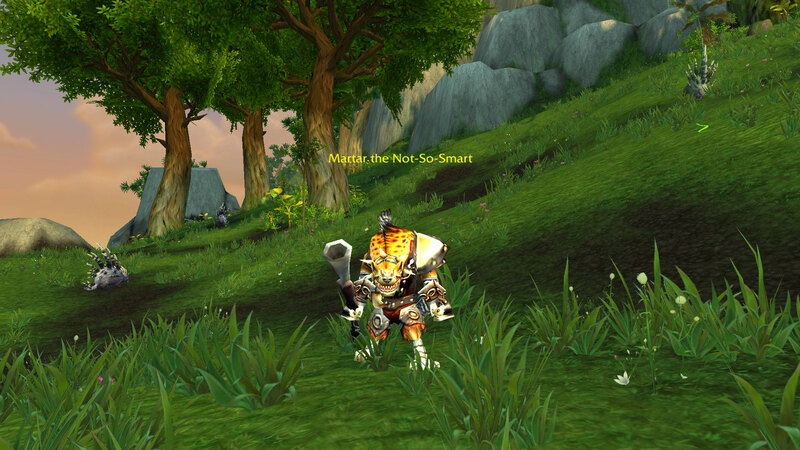 Explorers can find a lvl 86 gnoll NPC, named Martar the Not-So-Smart, in north-eastern Jade Forest @(56.7, 33.1). When defeated, Martar has a chance to drop 1 of 6 Steamy Romance Novels. Adventurers who wish to complete their book collection must find help from an engineer to create a Blingtron 4000. The seventh novel, I’m In Love With a Robot, can only be found as a quest reward from Blingtron. The best part of collecting these once hard-to-find books is reading them for yourself… each offering a new perspective of their title character, Marcus.